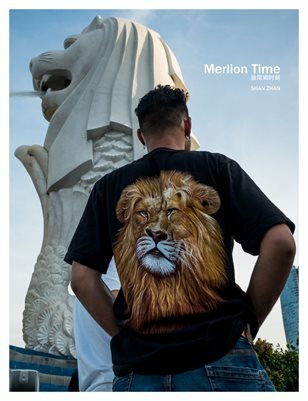 Merlion Time is my personal observation work intended to show the real life of ordinary people who visit Merlion Park and their incredible display of unbeatable dynamics. I have spent more than fifty visits to Merlion Park during 2015-2017.The photographs were taken in this 2500 square meters area, Each photograph in this book has its own moment of time and story. None of these photographs are staged or digitally manipulated. This entire work will reveal to you the sense of how ordinary people can transform their energy and creativity into dynamic moments and by doing so, bring happiness to next level.